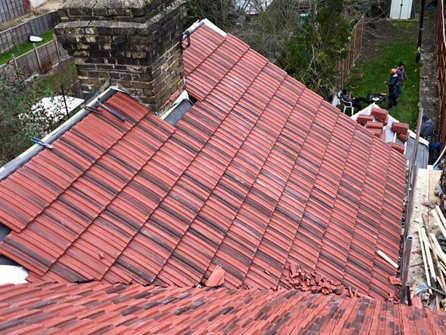 At Unitech Roofing we can cater to all of your roofing requirements. 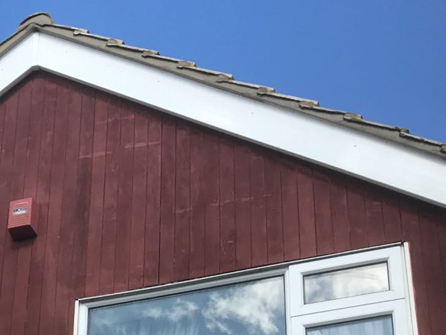 Based in Maidenhead, our expert roofing services are available to both homeowners and business owners in the surrounding areas of Reading, Twyford, Henley on Thames, Chorleywood, Amersham, High Wycombe, Beaconsfield, Gerrards Cross and Windsor. Take a look at our Serviced area page for more information. From a complete new pitched or flat roof to all types of roofing repairs, we have the experience, the know how and the skills teamed with quality roofing materials to get the job done quickly and efficiently every time. 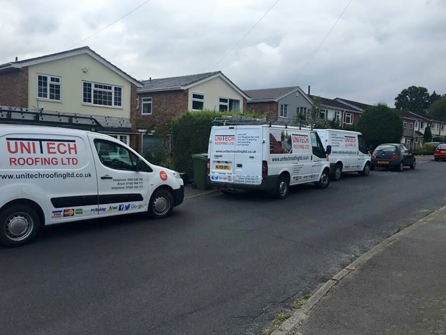 Unlike other construction companies, our site manager Steve and project manager George are always on site to answer any of your roofing questions, at any time. We are proud members of Trustatrader and have many customer reviews for you to read about the quality of our workmanship. We do not always require a deposit, full payment is only expected when you are fully satisfied with the completed job. 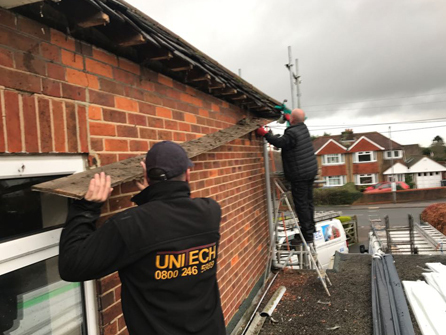 Whether you are looking for a new roof to be installed, or you have a leaking roof or guttering to be repaired, call in the expert team at Unitech Roofing, we are fully vetted by Trustatrader and have great customer reviews, give us a call today on Freephone 0800 246 5989 to organise a free site visit to discuss your requirements.